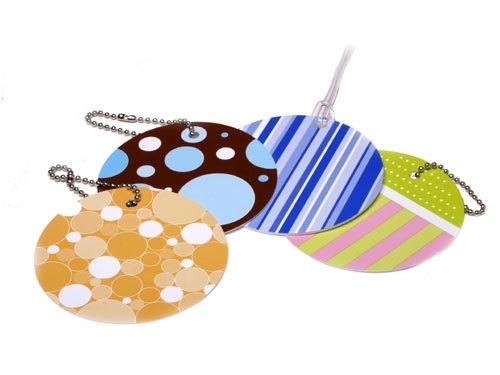 - If you travel a lot and you're bored with your bland luggage tags or you don't have any at all, you might want to check out some new tags that are decidedly more colorful than your standard, bland tags. - Mango Moose Media in Mississauga Ontario has launched StreetTeams, a service that makes it easy for media buyers to "buy" street teams just like they buy other media. - As if Coke wasn't already unhealthy enough, it's now a frying agent for any thing from bananas, to twinkies to cookies to pickles. - RSS reader Newsgator has added Google AdWords to it's pages. Launched Friday, it's in test phase which will continue into next week. - Not that this is is indicative of any role they may have played in their clients' successes but BBDO's work was the most viewed work on AdForum in the third quarter. - Here's a collection of videos Wieden+Kennedy Amsterdam worked on as part of their work for the Electronic Artists' game FIFA 07.